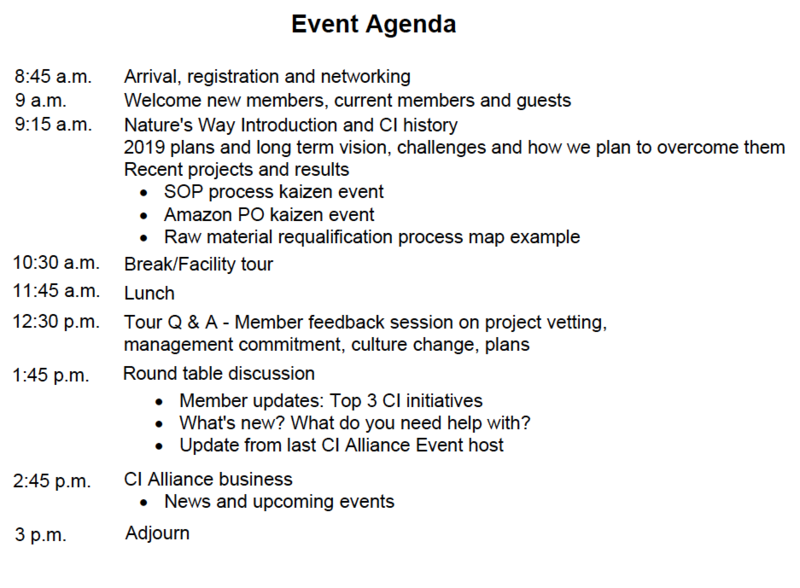 Nature’s Way will share their 2019 CI plans and long-term vision along with their recent kaizen events and results. Members will be asked to provide feedback on various topics including project vetting and culture. This event will include a tour of their manufacturing facility including blending, encapsulation, mixing, bottling, and packaging lines.